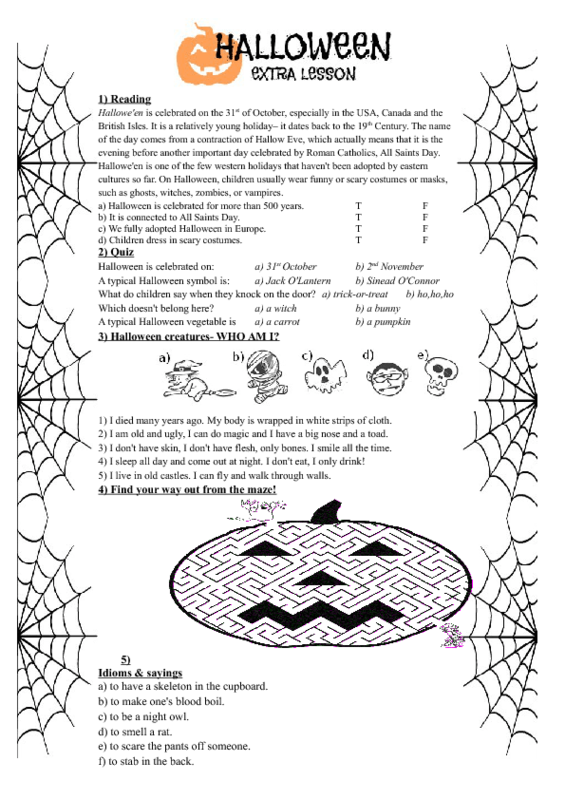 This worksheet can be used in your classes whenever during October- the month of Halloween. 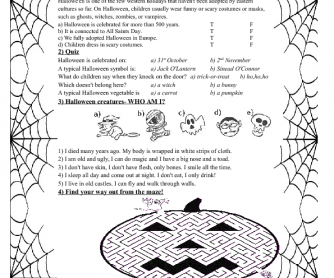 Teach children more about this holiday, superstitions, idioms, revise the vocabulary and have fun with Halloween jokes! It has 2 pages and the file contains 2 versions (exercise #6 is a crossword- each crossword has diffrent words to fill in. Two students should always work together. For example one student asks "What is 6 down?" and the second student should describe the word).